Yet another grass technique. Have used this technique before, but wanted to try to make it even more dense, and this is the result. Again, quite an expensive technique as green cattle horns aren’t the cheapest. 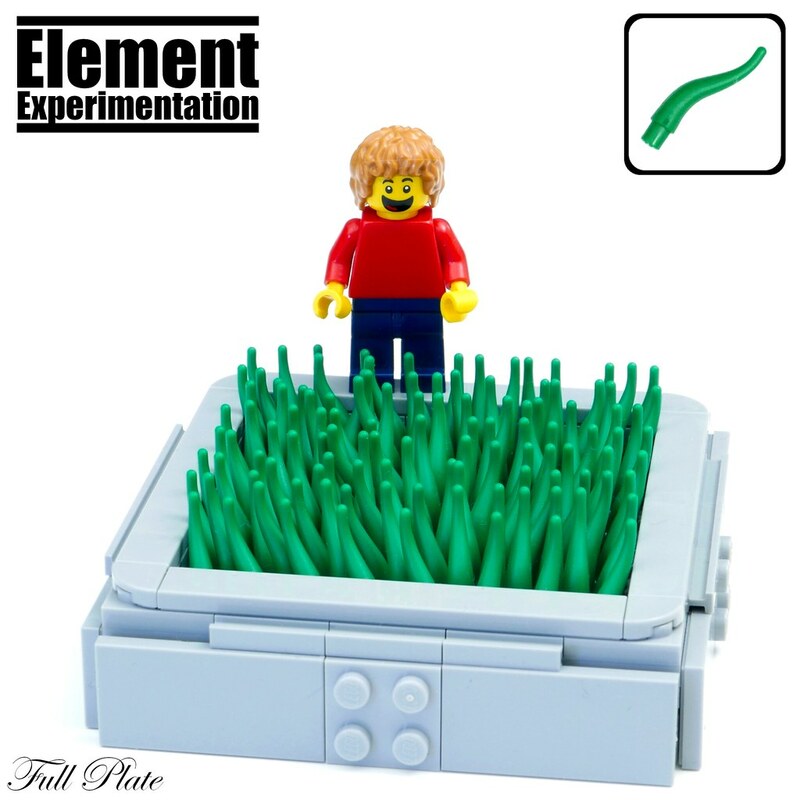 I also wanted to see if this could be made to look like short grass, but even with a density of 2 per stud it’s still too sparse to pass for anything except tall grass. As tall grass it looks pretty good though, but usually you would probably want to add in some other pieces for variation, as grass tend to become more diversified as it grows longer.